Black women hate to see a brotha with a White woman, and Black women LOVE Obama…so it’s ironic that without a brotha being with a White woman there would be no Obama. He said this in the context of discussing how if Obama wins the presidency, bigger than White America dealing with a Black president will be Black America dealing with a Black president. He said that there are a lot of things that we will have to evaluate about ourselves…one major thing being that the Black man that made it where no Black man had ever been had been raised essentially outside of this country by White people. 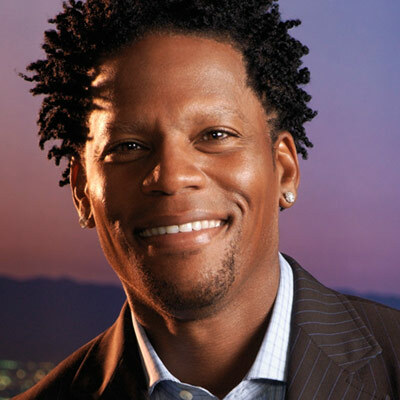 I think the notion is fascinating …that it would take a Black man that is mixed and has excelled to be accepted by White America, and even more fascinating that maybe only a Black man that was raised outside of normal Black culture and without the normal burdens of a Black American could have the positivity and courage to reach for something so seemingly unattainable. Makes you think, huh? After seeing the second installment of “Black in America” which dealt specifically with “The Black Man,” I realized what the real problem is with this documentary. THE UNDERLYING ASSUMPTION IS THAT ALL BLACK PEOPLE ARE POOR AND ARE CRIMINALS. So, in addition to the producers not giving “context” for why some Black Americans are in the situations that they are in, they also chose to present our community as though the GHETTO is our only experience…as though we are a one dimensional community. They profiled only a slice of Black life. In “The Black Man,” there were an exhorbitant number of orange jumpsuits and men in handcuffs, talk of drug abuse and absent fathers throughout. 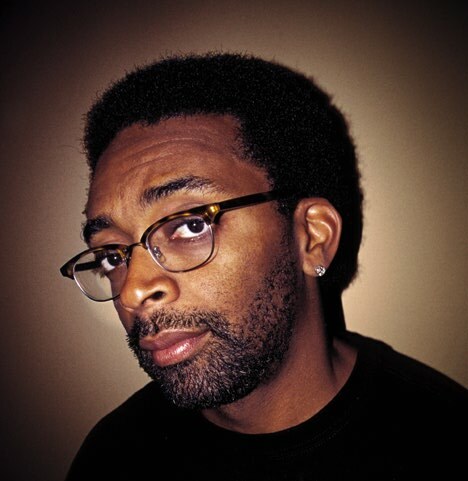 All of this and no mention of racism or stereotypes…until Spike Lee gets on the mike. How in the world could CNN portray Black men this way and not mention neither racism nor stereotypes? I’m shocked that Spike’s calm rant even made it into the documentary, but I’m glad it did. Unfortunately, that short rant didn’t erase the further damage to America’s image of the Black man that was done throughout…it was worse than the evening news. I really didn’t like that the Black men that were doing well (the children of the Little Rock 9 man and the guy in corporate America) all said that they didn’t fit in with Black people and that they were ostracized by Black people because they were “smart.” Not saying this has never happened…but trust me, there are Black men that are educated and successful with Black wives and Black friends. There are Black people that are successful that socialize with Black people and are comfortable with being Black. There are Black people who’s great grandparents went to college in the early 1900’s, grew up privileged, and didn’t have to escape the ghetto. We didn’t see them tonight though. I accept the Black experience fully, the success and the struggles…primarily because I am proud of my heritage and aware of what my people have been put through in this country. I do, however, also acknowledge that most Black folks don’t live in the ghetto. Most Black folks aren’t in jail. Most successful Black folks are not sell outs. CNN, next time you do a documentary on a minority group, give us a full spectrum of the experience from an unbiased angle, and give us context for why they are experiencing struggle. You can’t wholly increase awareness without that. CNN’s “Black in America”…Can I Get Some Context? Last night after I watched the doc, I thought it was pretty good. This morning when I awoke , I didn’t feel the same. I mean, it was great to see the stories of Black folks, and I know that 2 hours is not that much time, and I also know that it was made for CNN’s White viewership. I appreciated the stories, but decided that if I were a part of the demographic, let’s say a White conservative, I probably wouldn’t have received it well. They didn’t provide context for the “situations” that Black folks are in, and I think it was necessary. Ex. #1: Black Family reunion with White family members; White Great Great Grandfather had 2 families, one with White wife and other with Black Mistress who was not a slave (which they stated clearly). White Conservatives see: their Black Great Great Grandmother was a “ho”. Reality when put in context: I don’t care whether she had slave papers or not, because of the power dynamic in the 1800’s, that Black woman was being raped by that man. Remember, women didn’t even have basic rights then, and this was a Black woman. A one sentence mention of this power dynamic would have helped to frame this properly. Ex #2: The Black high school drop out rate is much higher than that of White students. White Conservatives see: Black people are dumb and just can’t make the cut. Reality when put in context: They mentioned substandard schools, but didn’t address that even at top high schools the drop out rate for Blacks is higher. The issue is that racism is still prevalent in schools, and Black kids are automatically pegged as being dumb, so they are not encouraged and they are not expected to achieve. Could we have gotten some voiceovers giving us some possible explanations of why the rate is so high? Ex #3: Black women choose to date only Black men and because of that most are single and will never get married. White Conservatives see: Black women are racist and don’t want to date outside their race to their own detriment (trust me, White people throw around this “reverse racism” like candy). Reality when put in context: We definitely can be more open, but they didn’t mention that out of everyone, Black women and Asian men have been determined in multiple studies to be the least desirable by other races for relationships. That means our choices are not limited solely by us. Again, I appreciate the documentary, but I think that providing context for the specific issues of Black Americans even if brief would have served the documentary and its audience well. I’m sure that the conservative bloggers are buzzing this morning saying everything negative that they can about Black America and using this documentary as ammunition. Make sure that you don’t miss CNN’s “Black in America” shows this week. On Wednesday, July 23rd, the focus will be on “The Black Woman and Family”, and on Thursday, July 24th, it will be on “The Black Man.” Both shows start at 9pm EST. Also, try to catch the repeat of the “Black in America” panel discussion done at the Essence Festival entitled “Realizing the Dream”. You can check out the CNN Black in America webpage here. 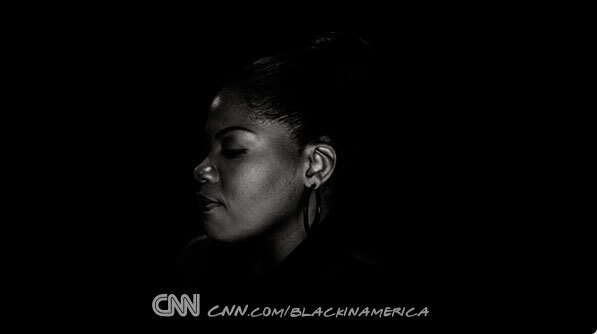 The “Black in America” series is hosted by Soledad O’Brien, who is a Black Superwoman! **Check out my commentary on “The Black Woman and Family” here and “The Black Man” here. Photo Courtesy of Black Girls Rock! 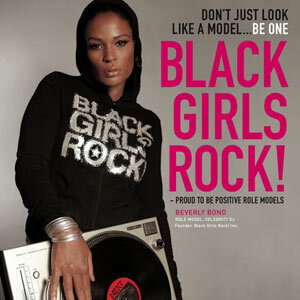 Black Girls Rock! and VH1 Soul put on the “Talkin’ Loud and Sayin’ Nothing” panel, which dealt with misogyny in Black music, at the Essence Festival this past weekend in New Orleans. The panel was hosted by DJ Beverly Bond, who is one of the founders of Black Girls Rock!, and moderated by CNN’s Lola Ogunnaike. Panelists included Michaela Angela Davis, Estelle, Bryan Michael Cox, and Lyfe Jennings, among others. Black Girls Rock! is a non profit that focuses on youth empowerment and mentorship for young Black girls. Check them out at www.blackgirlsrock.org. Ferraro is Trippin’…and It’s Not the First Time! Geraldine Ferraro, the first female vp democratic candidate (I believe she ran with Walter Mondale in 1984), said yesterday that Barack Obama wouldn’t be where he is in the race were he not Black. According to the Baltimore Sun, she said EXACTLY the same thing about Jesse Jackson back when he was running for president. 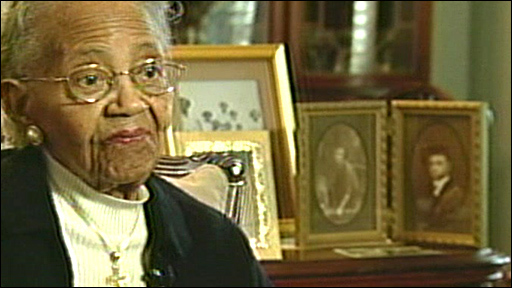 As a Black American, I am deeply angered by her comments. Last I checked, being “Black” wasn’t that much of an asset in the United States, or anywhere else in the world for that matter. If you’re Black, it doesn’t matter how many degrees and how much money you have, YOU STILL GET FOLLOWED AROUND IN NORDSTROM LIKE YOU ARE A THIEF. I doubt it’s any different on the campaign trail…since had Obama been behind in delegates, there wouldn’t even be a conversation about re-votes in Michigan and Florida…and the lack of that conversation would be BECAUSE HE’S BLACK. I, like most Black Superwomen, sometimes get clouded because I think that gender actually bonds women together and that White women would be more sensitive to our issues because we are “sisters.” It may sometimes, but what I’ve realized is that when “power” is at issue, our White sisters will abandon us without a moment’s notice. Based on Hilary’s campaign over the past few weeks, I’m feeling that everything Hilary is anti-Black…and that’s not good. *Right after I posted this, Ferraro stepped down from her position on Clinton’s finance committee. This only after she said that her comments were meant to say how great it was that African Americans had come out to support “their candidate”..insinuating that we are the only people voting for him. What pipe is she smoking? Last I heard on CNN, Obama was getting votes from the “latte drinkers”….which means White folks, ya dig?